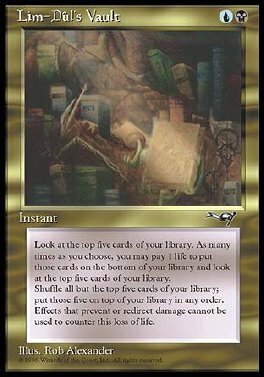 Look at the top five cards of your library. As many times as you choose, you may pay 1 life, put those cards on the bottom of your library and look at the next five cards of your library. Then remove the top five cards from your library, shuffle it, and put those cards back in any order.